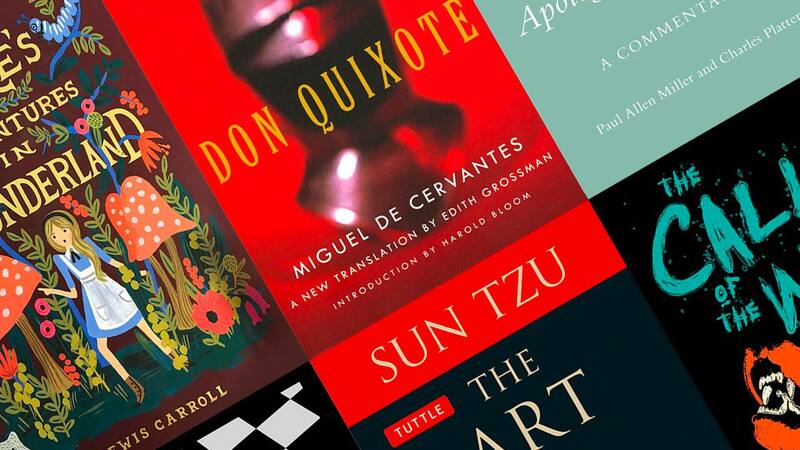 There's never been a better time to actually finish Don Quixote. Most people have that never-ending bucket list of classic literature they haven’t gotten around to reading yet. But if you're like the rest of us, falling asleep every time you try cracking open that hardcover copy of The Art of War your Uncle Greg gave you years ago, Audible’s latest (and limited time) audiobook deal may be the perfect solution for you. For just 82 cents you can grab 10 Masterpieces You Have to Listen to Before You Die, an audiobook collection containing more than 24 hours of literature. User kornbread435 reportedly scored the set for only 66 cents, so you might wind up getting an even better deal. Either way, you're going to pay around 8 cents or less per book. Some Slickdeals users have pointed out that the Amazon Audible masterpiece collection is very similar to those you can obtain for free from sites like LibriVox or ThoughtAudio. Since the titles are all technically public domain, anyone can use them. But some people claim Audible repackaged them under different or anonymous narrators’ names. Other concerned users agree, claiming the narrators from the discounted Amazon collection seem to be the same as the narrators from a free site, only rebranded. KoudeTat, however, purchased the audiobooks from Amazon, then searched LibriVox to see if any of the narrators matched, yet they were unable to confirm this. Although these Amazon masterpiece collection titles can be freely accessed in the public domain, some people may not want to do the work of sifting through audio samples to find one you like. The Amazon Audible collection is a pre-curated set of timeless classics ready to plug and play. It really just comes down to how much you value your time. Plus, if you don’t have Audible, you can sign up for a free trial any time. You can also set a Deal Alert so you'll never miss an Audible deal. Thanks to Jason75017 for posting the original thread.